Tanzania is home to many national parks and world class marine parks. The top three most popular national parks in Tanzania are: The Serengeti, The Ruaha NP and the Selous GR. Tanzania is huge, and has diverse and mixed seasons. We help you choose the right time of year to visit the right park. 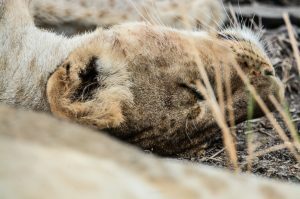 The quality of your safari tour is absolutely dependant upon two things: timing (weather and animals) and the quality of lodge/camp that you choose. A basic Safari in the Ruaha National Park would start at £1395 (approx. US$1800)per person sharing. 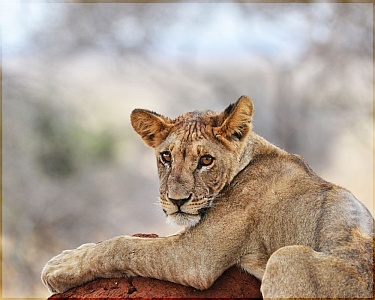 A mid range five day Serengeti safari would start at £2360, (approx. US$3055)season dependant. Adding a simple week on the beach in Zanzibar would cost £995 (Approx US$1300)including transfers. 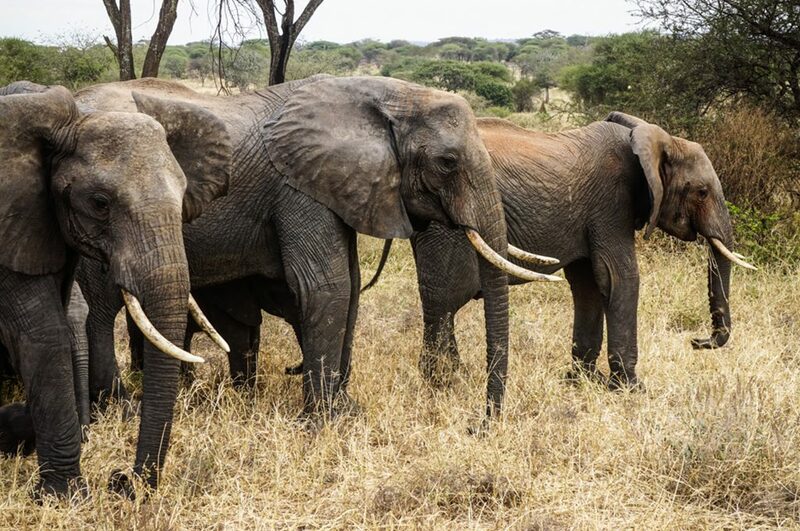 Join us for our fully escorted Tanzania Odyssey, which takes place in September every year. This takes in 4 national parks and a week on Zanzibar Island. Fullyguided by experts for only £6950 (approx. US$7500). Get in touch now. 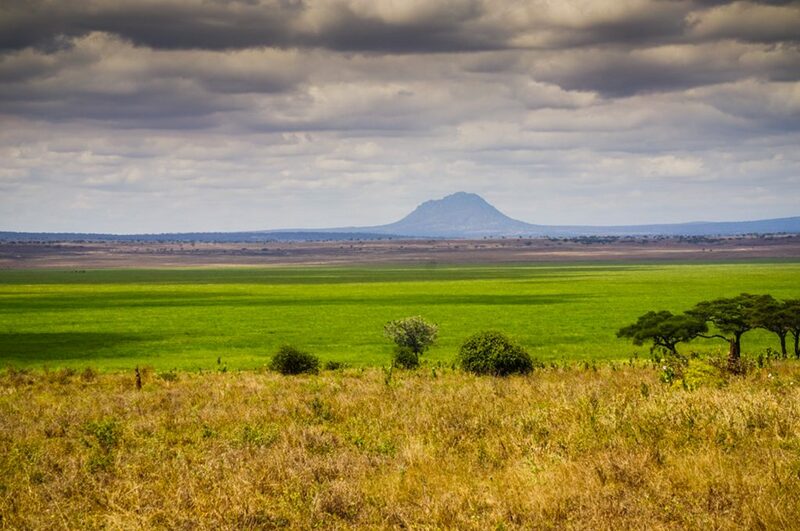 Where will your Tanzania Safari Tour take you? Safari in Kiswahili means “the journey”. Tanzania, the home of Kiswahili is also home to the most prolific wildlife on earth. And so in Tanzania, ‘Safari’ has come to mean a journey with animals. Tanzania has been consistently voted the world’s number one safari destination. With two decades of experience in Tanzania, the African and Oriental Travel Co team are best placed to organise your Tanzanian Safari Holiday. 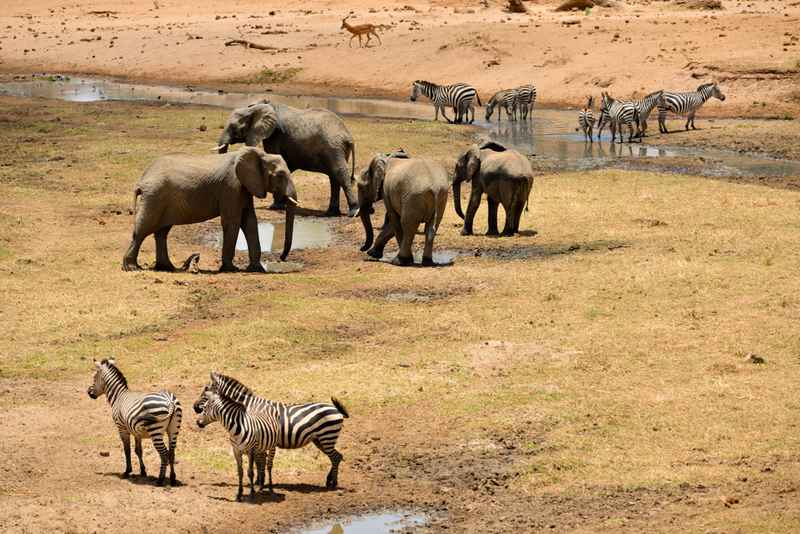 On this page, we’ll give you an overview of what Tanzania has to offer for Safari goers. You can then visit the national park pages for more details of what each area has to offer. Tanzania Safari tours generally start from Kilimanjaro International Airport or Dar es Salaam international airport. More people do a Safari on what we call the “northern circuit”. 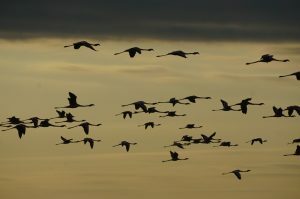 There is a very good reason for this, and that is the location of the world renowned Serengeti National Park. 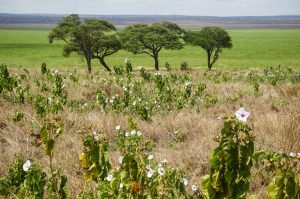 However there is a very good case for Safari Tours in the south of Tanzania, especially for single people who do not want to hire an entire safari landrover to themselves. In addition to this, what few safari tour operators will tell you, is that the best safari in Tanzania may well be in a less famous southern circuit national park, depending upon the season. There are three main safari areas in Tanzania. 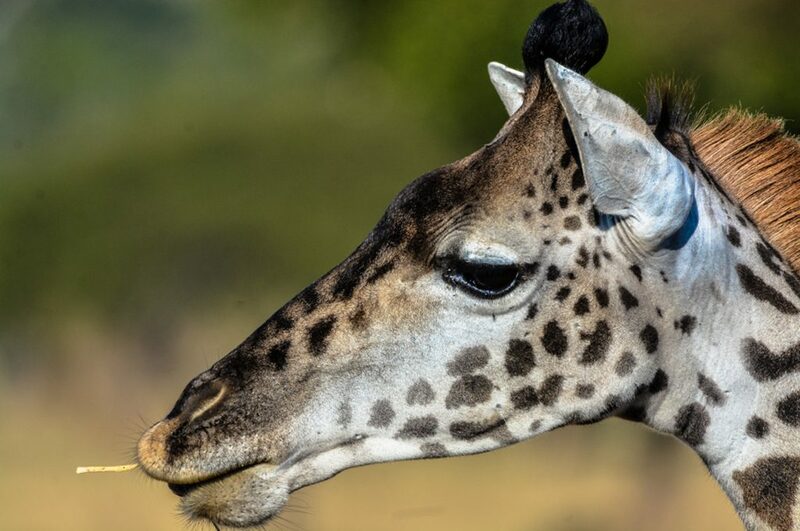 Most visitors to Tanzania on their first safari will head to Tarangire National Park, Lake Manyara National Park, and enter the Ngorongoro Conservation Area. Descend into the crater before climbing out and driving on to The Serengeti National Park. This safari is called “the classic northern circuit”. The Selous Game Reserve is for those travelers who fly into the Southern Tanzania safari tour circuit -which takes in the Selous Game reserve, the world’s largest game reserve. The advantage of a safari in the Selous Game reserve is the cost. It is a 45 minute flight from Dar es Salaam. Close to this is the best kept secret of Tanzania’s safari parks, the Ruaha National Park. These national parks are not small- most of them are massive. The best way to think of them, is a large chunk of Africa where the animals roam at will. Tanzania’s Safari Parks are national assets and protected by the Tanzania National Park Authority and her Rangers (TANAPA). 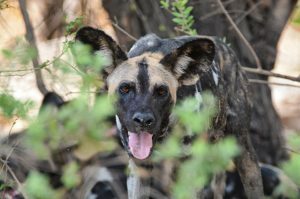 The Selous Game Reserve and the Ngoronogo Crater are protected by their own teams of rangers. All of this makes Tanzania the ideal place for your safari holiday. Your Tailor Made Safari Itinerary. We specialise in tailor made safari itineraries. This means that we can literally include any Tanzania Safari Park into your itinerary. Tanzania has so much more than simple wildlife safaris. There are the chimpanzees of Mahale National Park, and the chiclids of Lake Tanganyika. After two decades of operating safari tours in Tanzania, we can make anything happen in Tanzania. For example: we have access to charter flights and to the best vehicles that can land at any bush strip or drive into the most remote area. We have the best rates with the most exclusive camps, and while some safari-goers prefer to fly in and out some prefer to take a landrover/landcruiser and safari guide and drive the length of Tanzania- taking in the mountains, safari parks and ending at the Indian Ocean for scuba diving or kite surfing. For the first time Safari Novice, we generally recommend a 5 day / 6 night safari that takes in Tarangire National Park, Lake Manyara, the Ngorongoro Conservation Area and the Serengeti. This allows you to see the lions of Seronera, the flamingos of Manyara, the elephants of Tarangire, and the dramatic scenery with its abundance game of the Ngorongoro Conservation Area. 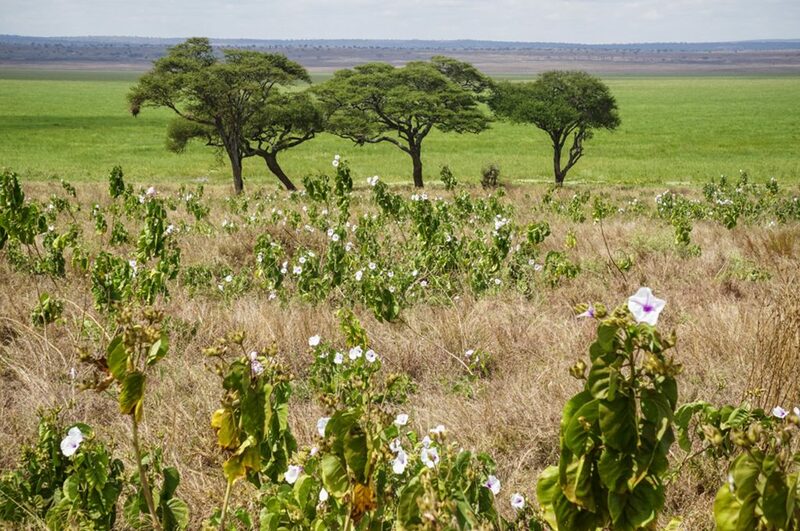 Then there are the less well known Parks and areas of Tanzania that are just as special -yet very different. Mahale National Park in the west, is home to the Chimpanzees and Lushoto and Amani are famous for their birds and forests. Deep inside Tanzania near the Selous Game reserve (now a national Park) are the Uluguru mountains with their breathtaking beauty. Sadani National Park is the only park on the Beach. After 16 years in Africa, we have the knowledge and experience to make your safari a truly memorable experience. Every Safari is always tailor made to your exact requirements.